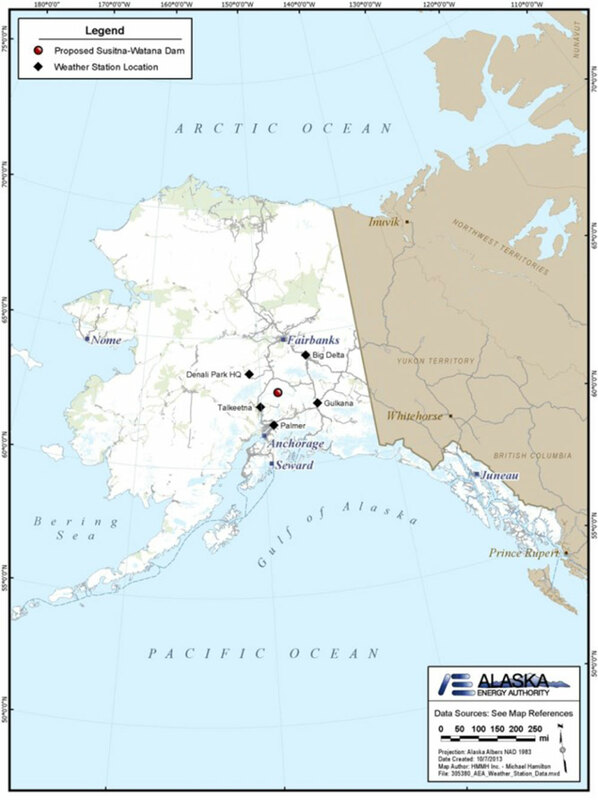 Working in collaboration with the prime consultant and the Alaska Energy Authority, HMMH provided air quality support services on the Federal Energy Regulatory Commission (FERC) licensing process for a proposed 600 megawatt (MW) hydroelectric project in the Susitna River in south central Alaska. HMMH prepared the air quality section of the Initial Study Report (ISR) as part of the initial submittals to the FERC. The primary goal and objective of the ISR air quality study was to ensure that the proposed Project does not violate National Ambient Air Quality Standards (NAAQS) and state air quality standards. Construction and operational emissions were summarized including identifying best management practices to minimize emissions during construction activities. Fossil fuel generation emissions were estimated and summarized to determine baseline emissions from the nearby Railbelt electrical generating facilities.